Solicitations have gone out for the Masters of the Universe Faker 1/6 Scale Figure. This version of the figure is a Previews Exclusive, which will be available via most online collectible stores. Mondo should be offering their own version soon, which will at least include an additional battle damaged head sculpt. Faker joins both Skeletor And He-Man in Mondo‘s 12″ take on the heroes and villains from MOTU. The figure will include two swappable portraits, interchangeable hands, a sword and sheath, a battle axe, a shield, and a blaster rifle. Faker has over 30 points of articulation. » Continue Reading. 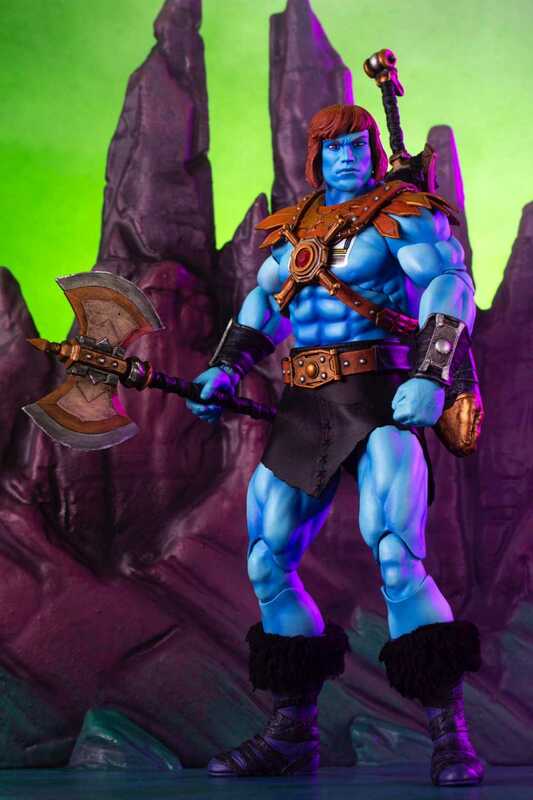 The post Mondo’s Masters of the Universe Faker 1/6 Scale Figure PX Exclusive Version appeared first on The Toyark – News.